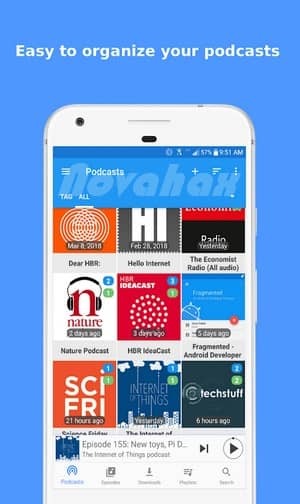 Podcast Republic is The best pocast app from Google Top Developer! 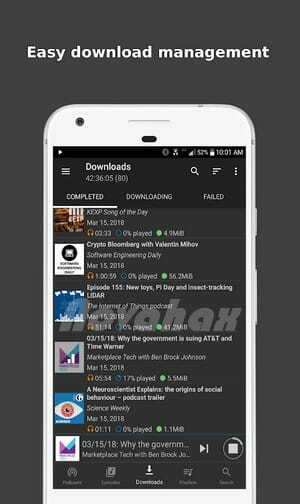 Podcast Republic app allows you to manage your podcast subscriptions, live radio stream, audio books, YouTube channels and SoundCloud channels from a single app. Feature completed and highly customizable. Just download it and start enjoying your favorite podcasts and radio shows whenever you like wherever you go! Support all major podcast and public radio networks: NPR, PBS, Gimlet, BBC, Serial, Ted Talks, etc. Discover and subscribe 500,000+ podcast content. Support importing from podcast RSS/ATOM feed directly. Import and export podcast subscription using OPML file format. Build your own podcast from your media files. Play your audiobook or music in one app. Sync your subscriptions and playback states between connected devices in real time. Rate and leave a review for your favorite podcasts. Built-in audio effects such as playback speed, volume boosting, skipping silence and equalizer. 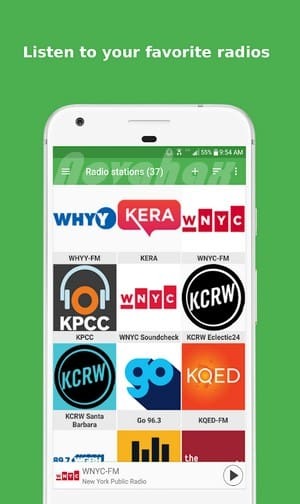 Works for all podcasts and radio streaming. 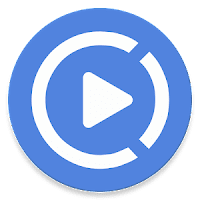 Variable playback speed for all Android versions. Save your time with fast playback speed. Podcast Republic True multiple playlists support for better organizing your podcast playing. Smart play queue feature designed with podcast listening in the mind. Schedule to play podcast or radio at a specific time. Wake up with your favorite podcast or radio. Set sleep timer to stop podcast or radio while you sleep. Gesture operated Car mode to control the podcast playback with simple gestures. No need to look for the playback controls on the screen at all. Customizable shaking actions to control your podcast playback without opening your phone. Customize skipping intervals in the mid of the playback, or even skip the beginning/ending of the podcast. Remember your playback position and pick up from where you left last time. Fully automated download. Check podcast update at a configurable interval. Automatically delete downloaded podcast file after been listened to.